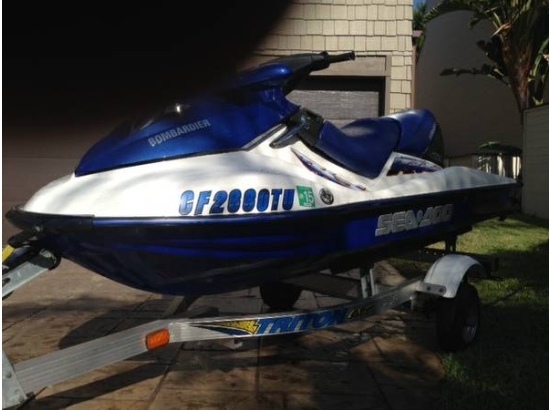 2002 Sea-Doo GTX DI w/trailer The Sea Doo GTX DI has won PWI magazine?s ?2001 Deluxe 3-seater Shootout? and Watercraft World magazine?s ?2001 Deluxe Cruiser Shootout? awards. Equipped with Orbital Direct Injection technology, fuel efficiencies have been improved 23 percent for 2002 engines, and the octane level has been reduced from 91 to 87. 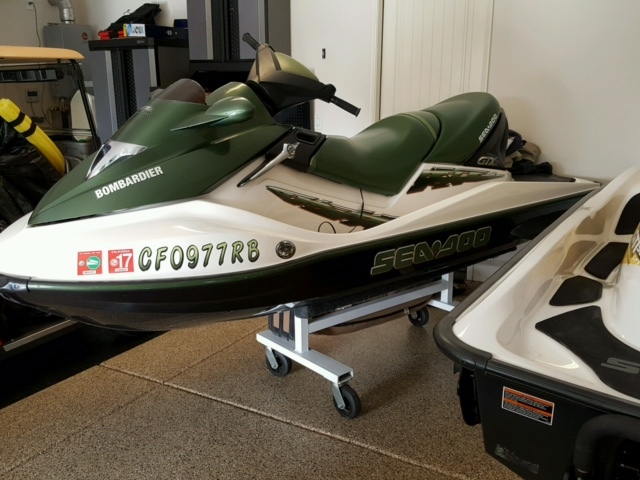 With an up-to-37 percent increase in fuel efficiencies, and delivering an up-to-75 percent reduction in exhaust emissions, this watercraft is awarded access to restricted bodies of water, and, with these improvements, owners will be able to enjoy them longer. 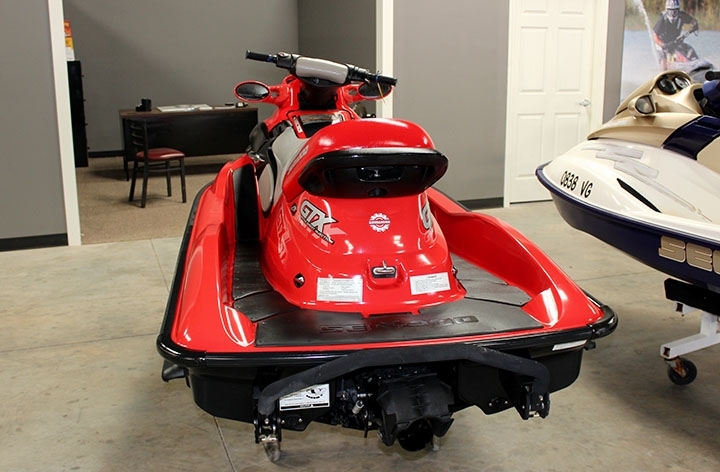 The GTX DI's chokeless starting makes time on the water easy, the 1000 series Rotax marine engine makes towing a skier easy, and with the largest storage in its class, at 52.6 gallons, the GTX DI makes bringing everything for a day of fun on the water easy. With the modified-V hull and contoured body, the ride will still be smooth even through rough water. 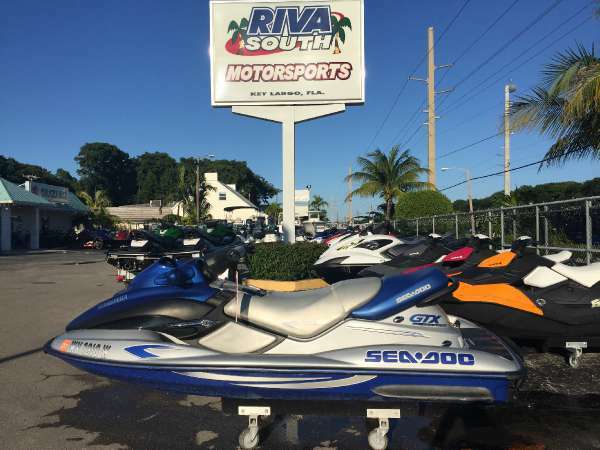 Fully loaded, the GTX DI comes standard with the Sea-Doo Learning Key, which limits RPMs and top speed for less-experienced riders; the Sea-Doo D-Sea-Bel sound reduction system, which reduces on-water sound pressure up to 50 percent; O.P.A.S. (Off-Power Assisted Steering) system; and three-up contoured seating. 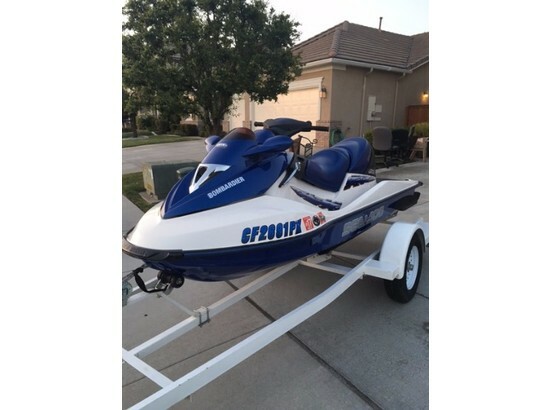 2002 Sea Doo GTX DI, This 2002 Sea Doo GTX DI is going to be your new favorite ride. 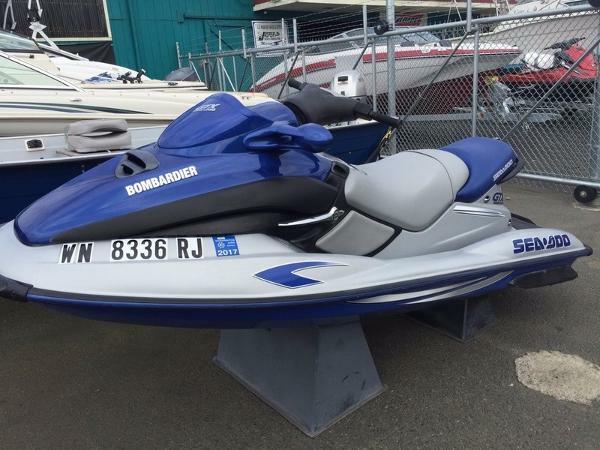 In great condition and only $4200 with a warranty included. 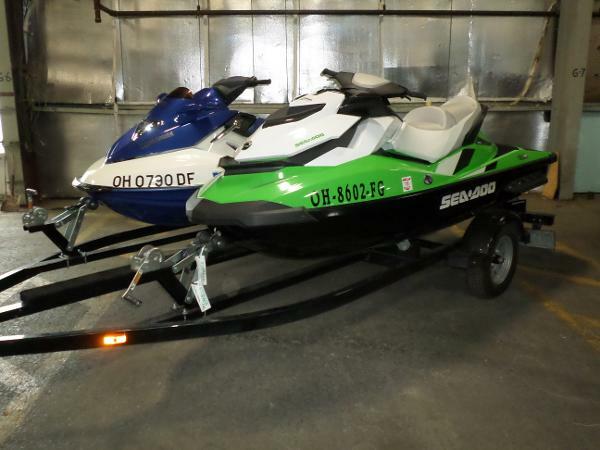 2013 Sea Doo GTI SE 130/ GTX DI Sea Doo jet skis (1 pair) on tandem trailer. Fresh water used and enjoyed! Adult owned. The 2013 GTI SE 130 has less than 10 hours of use. It is 11' long, a little over 4' wide and weighs 755 lbs. 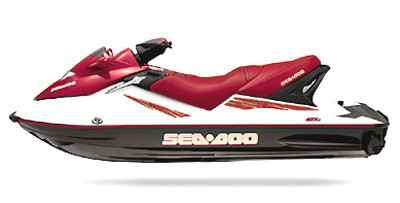 Its naturally aspirated three-cylinder EFI, 1,494 cc and holds 15.9 gallons of fuel. It has multi-functional gauges which include: a fuel consumption read-out, clock and trim position, fold down reboarding step, and improved wide angle mirrors. Producing 130 hp with out a super charger you will save gas and money and still reach speeds up to 55mph. 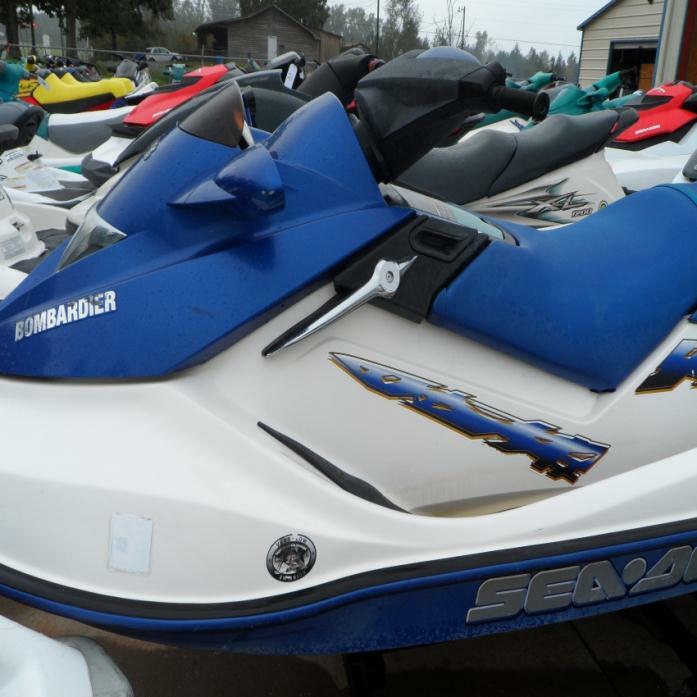 Many other features aboard make this model very user friendly and fun! 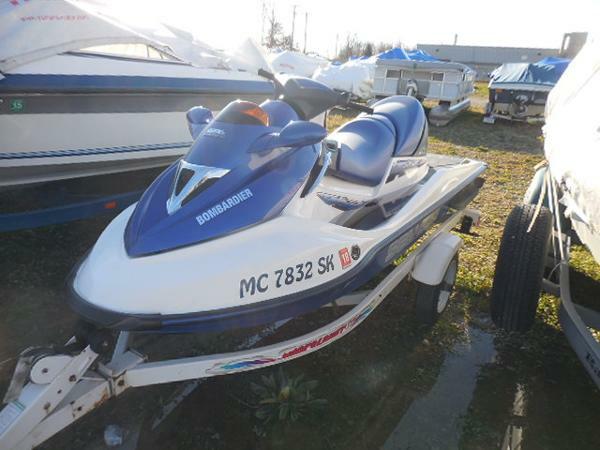 The second ski of the pair is a 2002 Sea Doo GTX DI, another low hour adult owned machine. This is a 2 stroke, direct enjection model. The engine is a Rotax twin- cyclinder orbital-injected 2 stroke. 951 cc which produces 130 hp of fun. It is 10' long, 4' wide, seats up to 3, carries 15 gallons of fuel and 1.6 gallons of oil. It weighs in at 650 lbs. This model also has the OPAS (off power assisted steering) rear view mirrors FNR, great storage space, and a stainless steel impeller. Both machines have full mooring covers and sit on a double place trailer with virtually no miles! 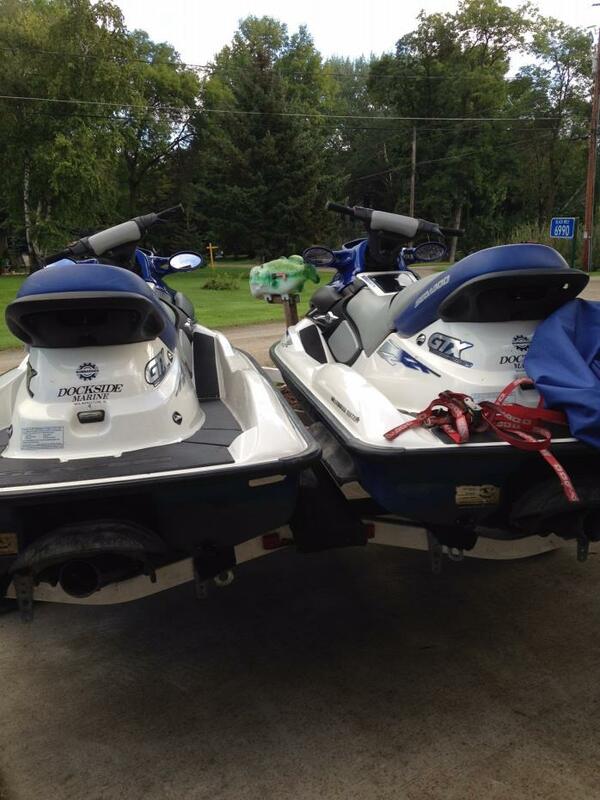 2 very nice units, no scratches, damage and professionally maintained. Call for more details. Currently and all winter long stored inside heated storage and may be seen 7 days a week.